I’m not gonna lie…I’m not very centred or feeling great. I shouldn’t worry but I do. I contacted my daughter again today to find out things are going. The ambulance yesterday was supposed to be there at 2pm to collect them but only arrived at 9pm and then they had a four hour journey to Sydney. Her partner is only scheduled for an MRI scan tomorrow…so no idea what is going to happen. Darling poppet, is bearing up under the strain of getting paperwork sorted - contacting employers, making sure that the Rugby Club’s insurance claim is sorted, etc. His mom is there as well, so she has some support and the two of them are staying at the hospital at premises specifically for family. But she tells me this morning that all she needs is some privacy to have a good cry…and she cannot find it anywhere. Every time I think about it I am feeling pretty tearful myself. I have connected to them and cleared out as much negative energy from their physical body, energy fields and chakras as I can and will continue to do so regularly...but there is only so much I can do…this is their journey and path they need to negotiate. Goodness knows, hospitals are not always the places of light and healing that they should be...they can be dumping grounds for not such great energy - I see this in my job all the time. The two of them have enough on their plate without having other's energy making inroads, so I will continue to support them in spirit by continually clearing out any energy from their fields and bodies that isn't theirs, thereby giving them (and the medical professionals) the safe space to work within without interference. I see the elementals working on his body mending his neck. They are utilising the streams of healing coming in from so many people – thank you thank you thank you with much gratitiude to those of you sending them healing - it makes a huge difference. But, as we all know, the elementals and healing can only do so much…the rest is up to him. It will be fragile and weakened spot until he has released and cleared whatever has created this. Geez, my neck has been hurting - sympathy twinges. We collected our rings this morning…but I was not in a great space so didn’t feel the happy glow I’d expected to have. On the way back in the car Peter Frampton’s Show me the Way came on the radio. I’d been wondering when I’d feel a little better when the dragons caught my attention. The two of them were doing a dance in the sky and took me with them. It really lightened my heart and put a grin on my face. Have you ever seen a dragon shimmy and do the neck snaking thing? An absolute delight. After that Spandau Ballet’s Gold came on…and still they danced but in the lyrics of this song was a message that I took to my heart. Thank you sweetie pies…you made my day. Which reminds me…I watched the closing ceremony of the Olympic games. Again an absolute delight although there were frissons of dark energy that came through but for the most part it was a great celebration. The pure light pouring in made short work of those frissons. I could see so many fairies in the stadium and at one stage there were three with George Michael as he was singing. They were clowning around and copying him – even dressed in the same dark gear that he was wearing! Had me in stitches of giggles, I tell ya. 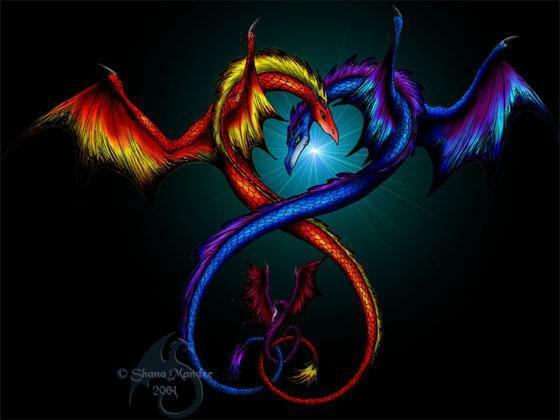 Surrounding the stadium were hundreds of thousands of entities…angels, dragons, unicorns, all the elemental world, animal spirits, nature spirits…you name it they were there together with the millions of lightworkers sending their heart energy. It filled my heart with such joy to see…and to be part of the experience…there are no words to express. We’ve done it…thank you everyone for being so sure in yourselves and consistently sending loving healing energy thereby creating the change we want. It might not immediately be evident…but believe me…from what I saw…there is no doubt in my mind at all. So as you can probably tell…I am wavering between worry and pure joy.